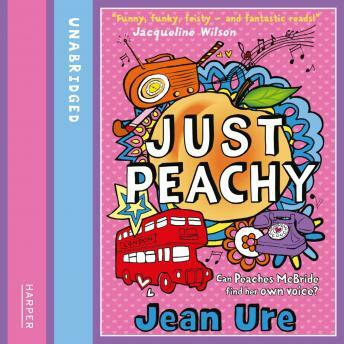 A coming of age story about self-discovery and independence from the Queen of Tween, Jean Ure. 'I've always been the quiet one in my dramatic family. Not a drama queen, or a genius composer, or a twin, but Just Peachy. Mum says I've got my own thing going on... I just wish I knew what that was!